Altitude’s Going Places is a private press LP from the last gasp of cabaret – the death shuffle of the early 1980s. It was recorded at Castle Studios, Wigan during the spring of 1980 and released later that year. The photo collage on the front sleeve reminds me of those sticky summers of 1980 – 1983. The “Holiday Album” reference being particularly apt. 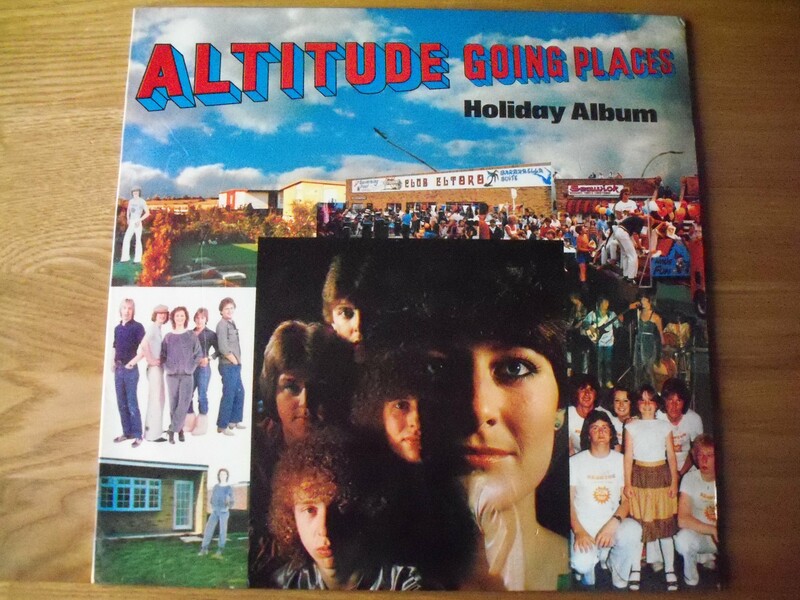 This theme is carried through on the reggae-tinged first track, Seawick – for all of you that dig Essex caravan holidays – Altitude were the in-house band at that resort. The maudlin Runaway is overlong while Flying High is a somewhat anaemic dirge. Things pick up with an oddly likeable medley of Blondie numbers before a hoary old selection of rock tunes brings the challenging first half to a turgid close. Thankfully things aren’t as bad on side two. For a start the volume is louder (it’s a shorter side). Dancer and Paradise are half-decent groovy pop tunes with some nice hooks while the closing track You is an oddly hypnotic piece of “mellow and mystic” disco that might have benefited from a decent 12″ remix, thereby transforming it into a lost club classic. Sadly it wasn’t to be. There’s very little discussion of this LP online – for good reason as it’s pretty mediocre stuff – but as a period piece of interminably unhip family entertainment, it’s certainly warrants a few moments of your time. Just one more thing. You does sound good over a club sound system. In a different world etc.